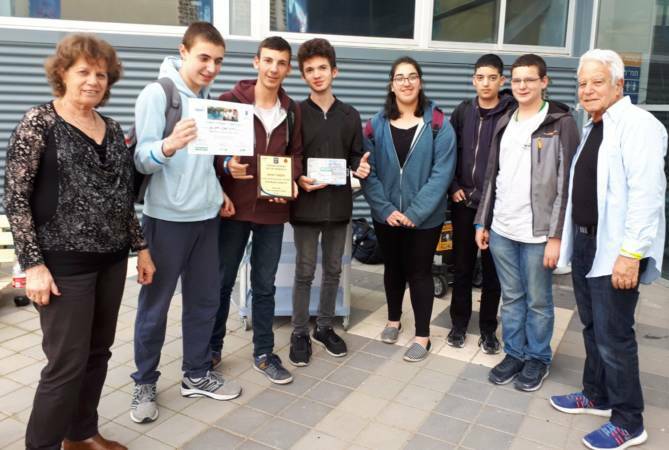 The 2018 National Robotics & Engineering Contest – titled Robotics in the Service of Humanity & Society – took place recently over two days in the Haifa Technological Center for Entrepreneurship. The contestants were teams that included overall some 500 school students from all over Israel, competing in various categories: fire-fighting home robots, robotic waiters, robots in the service of humanity & society, autonomic vehicles, underwater robots, robotic drones, engineering poster competition, science Olympics, and a contest revolving around digital engineering content. The “Robots in the Service of Humanity & Society” category comprised of three main sub-categories: control software, engineering content, and innovation. 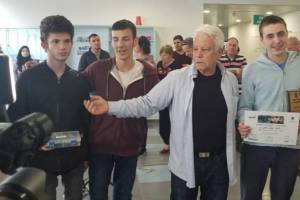 A great success for Sci Tech Avin Ramat Gan students in the National Robotics Contest. 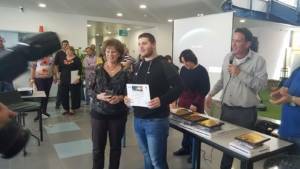 The contest took place in the Haifa Technological Center on March 18. The students brought a lot of honor to our school by winning two top awards: first prize in the category of Innovation for Remote Care Systems, and third prize in the Digital Content category. “This National Robotics Contest has been held for 20 years,” explains Zvia Gadnir, Head of the Robotics-Oriented Mechanical Engineering Programme at Sci Tech Avin, who also directed the contest. “This contest is held every year, in different locations, encompassing dozens of schools and over 600 students. This year we had 42 schools competing, and the contest includes several categories,” explained Zvia. First prize in the category of Remote Medical Care was won by a team comprising 11th-graders from the Cyber Programme and tenth-graders from the Robotics Programme, led by Mr. Isaac Puntsch. “This cross-programme collaboration resulted in the construction of a very complex and innovative system,” explains Zvia Gadnir. The third prize in the Digital Engineering Content category was awarded to Dean Luz, a 12th-grader in the Robotics Programme, who represented our school. Dean Luz, you won the third prize in the Digital Engineering Content category. What do you think of the contest? 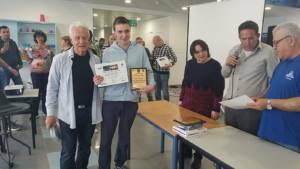 10th-graders Ido Ostberg, Ophir Broida and Nadav Tirosh-Varshai took part in the contest and were among the first prize winners. What do you think about your project, and the contest? The prize-winning system for remote medical care enables patients to receive medical care in remote places, where no medical doctors are available. This life-saving system can transmit medical parameters from anywhere on Earth. It is a successful product of the collaboration between the Cyber and Robotics Programmes, led by Mr. Puntsch, who works at the school as a volunteer. Mr. Puntsch, what do you think about the students who participated in the contest?